As the longest standing breeders of the Braque Francais in North American, Grand Ciel hunts often include a hunt behind some of our internationally titled Braques. 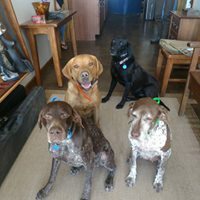 However, we are not exclusive when it comes to our dogs and while our Braques often work the grass, we also use our British Labs and our guides Goldens and American Labs in other cover. 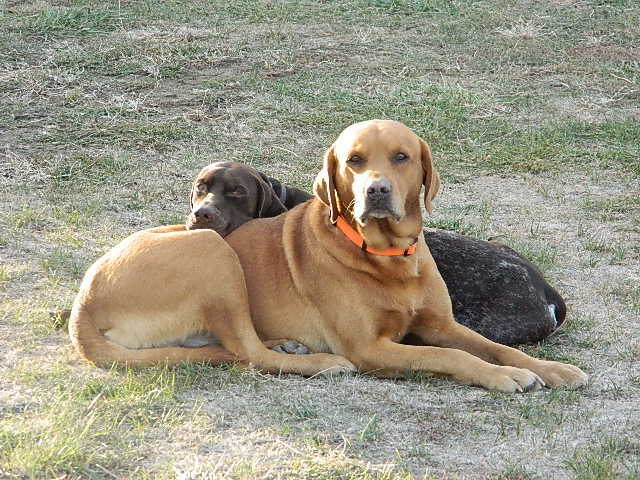 All of our dogs are more than kennel dogs, they are family members and will likely steal your hearts, just as easily as they might try to steal each others retrieves. For our 2018 season, Corey Tart of Great Lake Retreivers will be joining us with his dogs. We are excited to incorporate Corey's guiding and training experience into our operation. 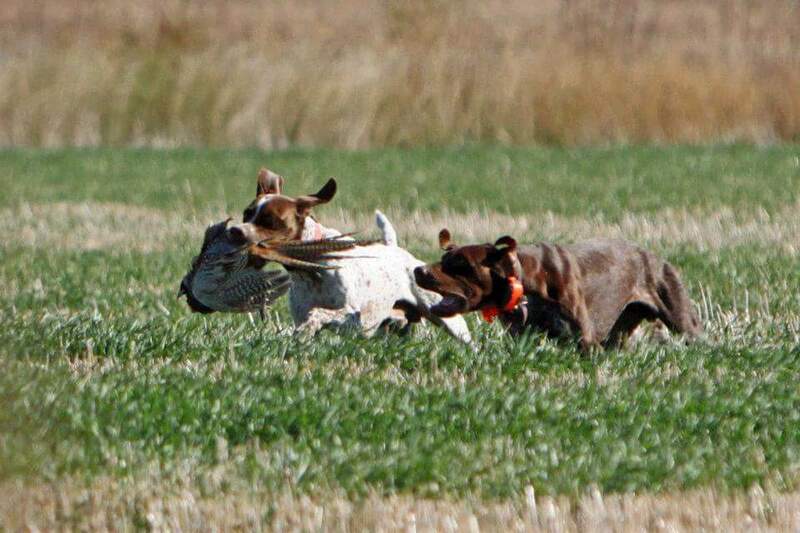 He will be adding his expertise and skill to the rest of team, including Rick McConico of Old Oak Retrievers. Rick and Corey train some of the best retreivers and pointers in the business and we are so happy they are working with us here at Grand Ciel. If you are interested in personal training services, Rick can be reached at Oldoakdogs@gmail.com or 612.269.1194 or, Corey can be reached directly at Corey@Grandciellodge.com or 616.460.4250.